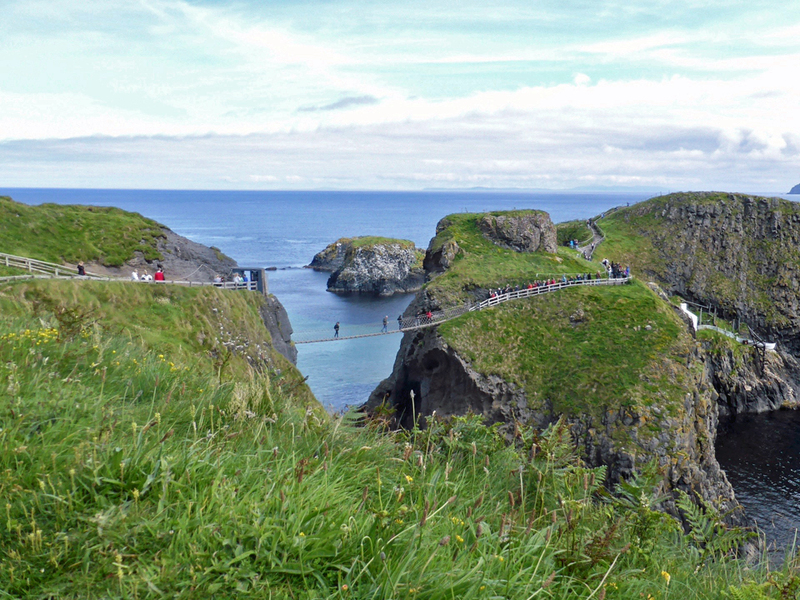 The Carrick-a-Rede Bridge is one of the top attractions along Northern Ireland’s Coastal Causeway. 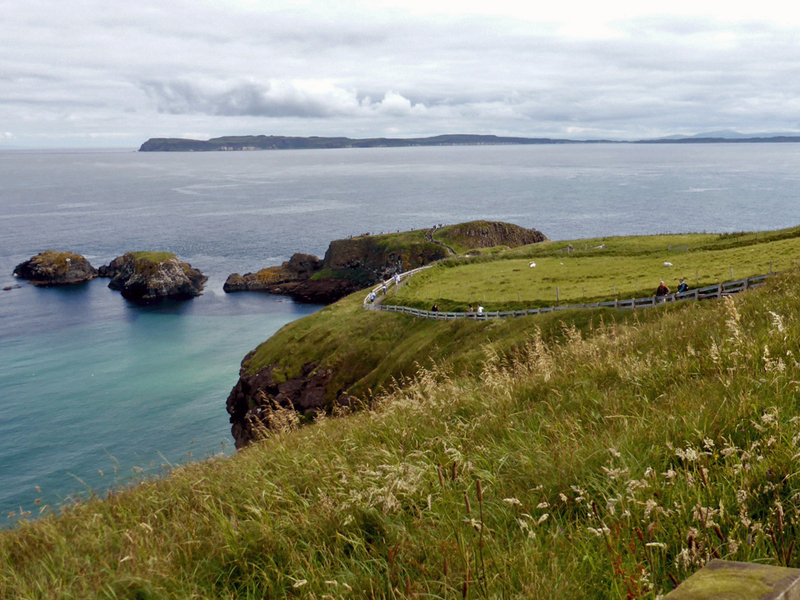 The scenic and invigorating walk that leads to it and the island for which it is named runs past coastal farmlands, fields of flowers and grazing sheep. 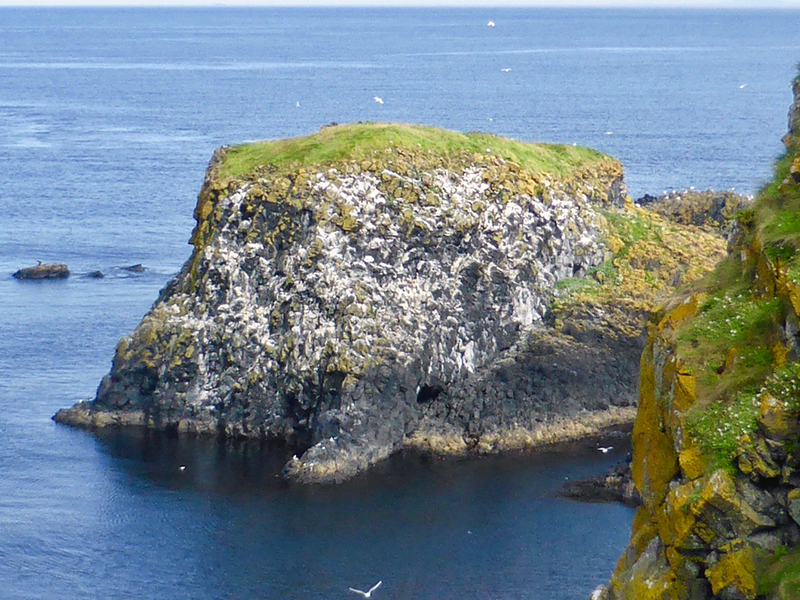 Fishermen are known to have built a single hand rope bridge to the island to check their summertime salmon nets as far back as 1755 . The current bridge, though safer, is still an adventure. 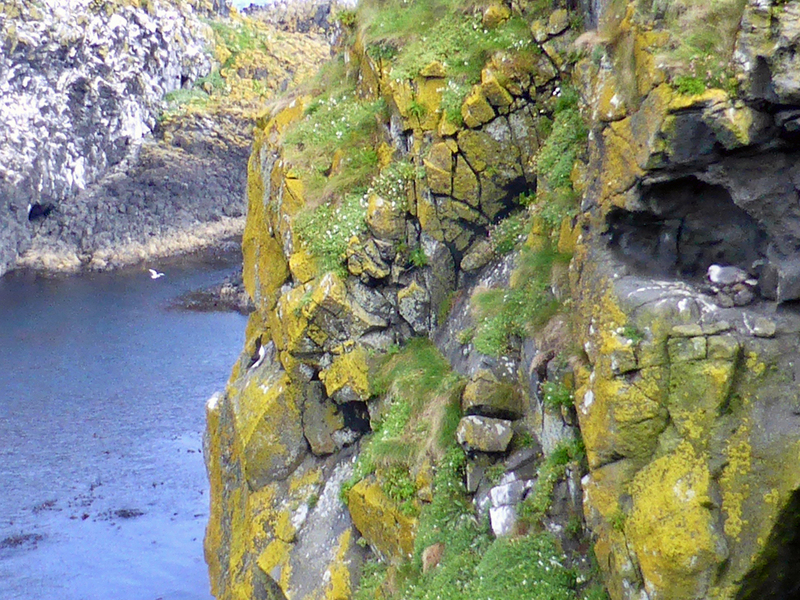 It crosses over the 60’ chasm formed by the mouth of a 60 million year old volcano. Waves rage 100′ beneath the bridge and break against the rocks. The stronger the wind the more the bridge swings and sways. Back on the mainland a vertical black column cuts vertically through the white limestone cliffs. It is basalt, lava that cooled from an eruption 60 million years ago.